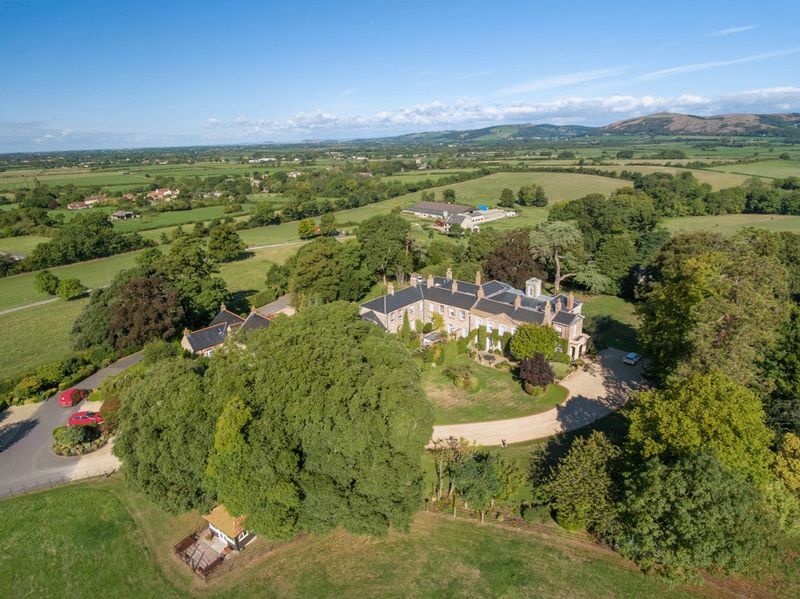 An exquisite period home set in eleven acres of glorious grounds and parkland within a few miles of the quintessential English Village of Wedmore Forming part of this beautiful country house, the property has naturally light and airy well appointed accommodation of generous proportions. 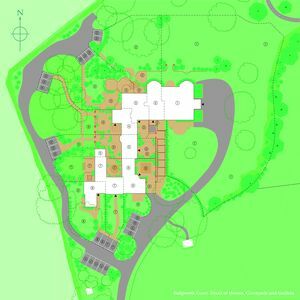 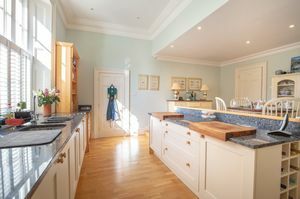 It includes a hall, cloakroom, 2 excellent reception rooms, an open plan kitchen & breakfast room, 4 bedrooms and 3 bathrooms. 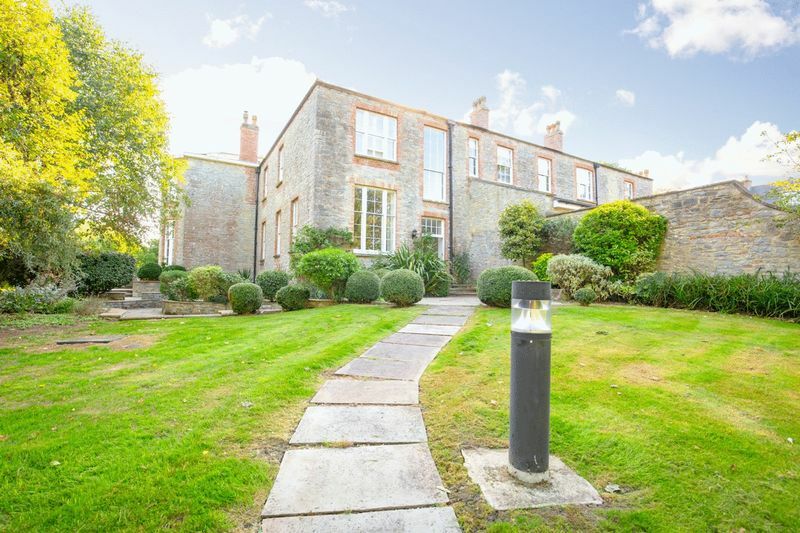 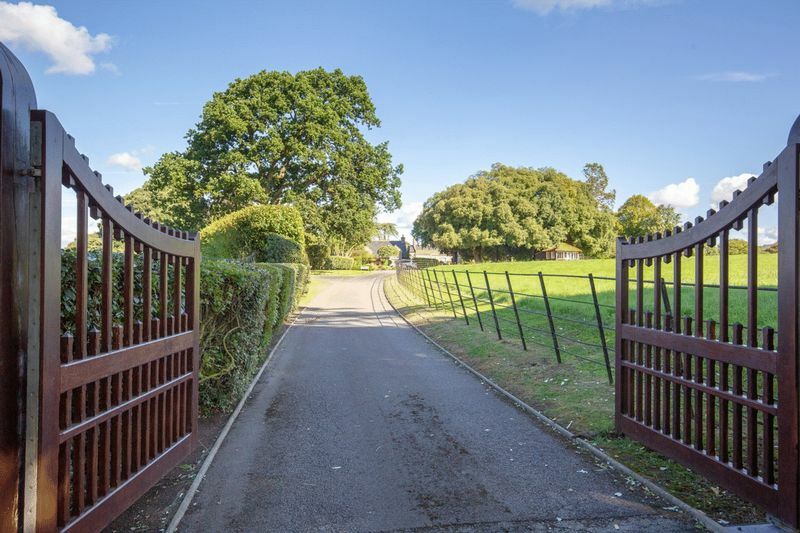 Badgworth Court is a Grade ll listed house is approached through stone pillars and electric gates over a long entrance drive all set in beautiful countryside. 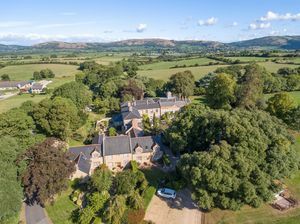 It's just south of the Mendip Hills and in easy reach of the M5, Bristol and the local centres of Wedmore, Wells, Axbridge and Glastonbury. 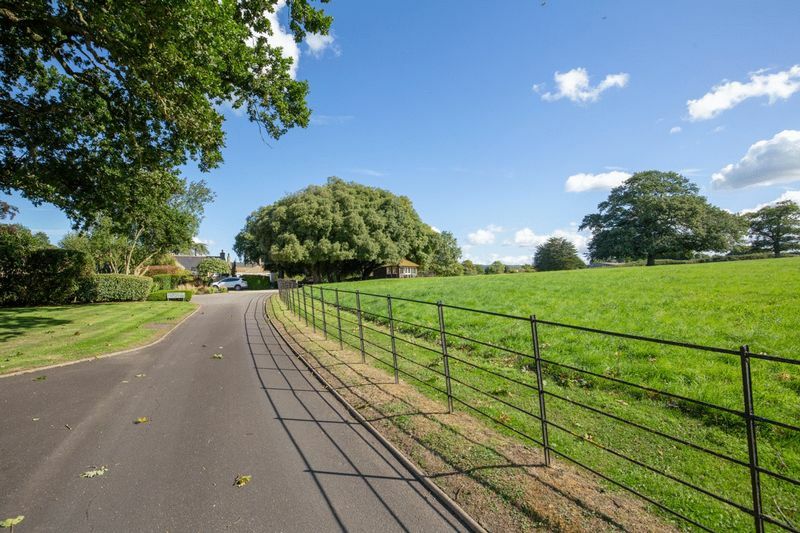 Life at Badgworth Court means easy access to the main commercial centres of the region with all the advantages of country house living in one of England's most picturesque areas. 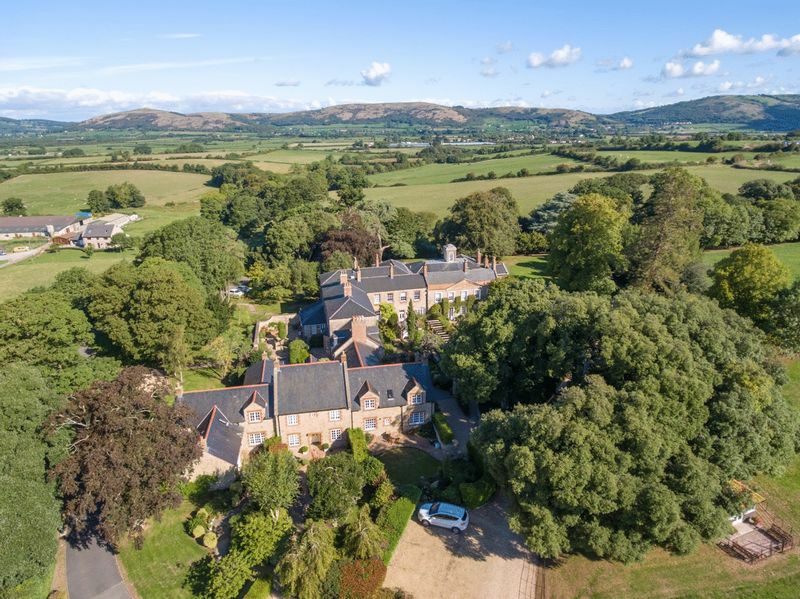 This beautiful country house has been restored and converted into individual period homes, all with private gardens and courtyards and excellent views. 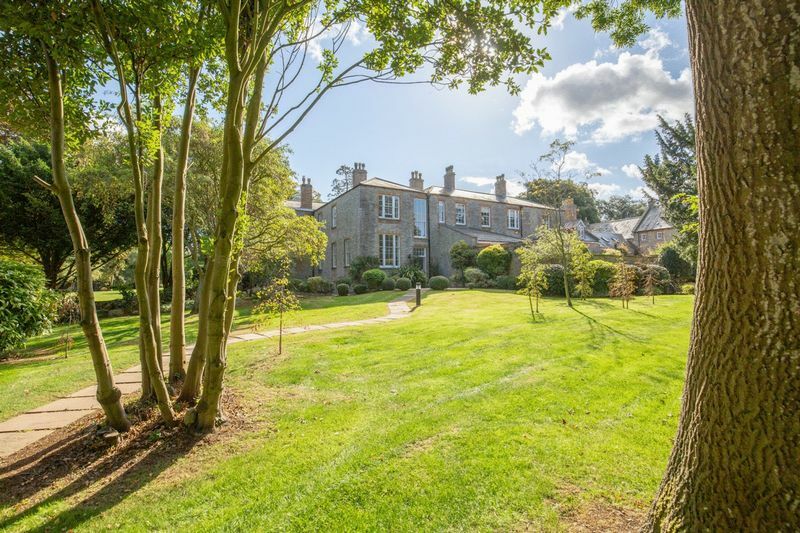 There are 5 superb period homes and 3 cottages. 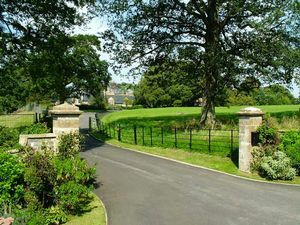 The mature grounds with many specimen trees are enhanced with comprehensive landscaping features, giving each property a unique backdrop to the elegant accommodation. 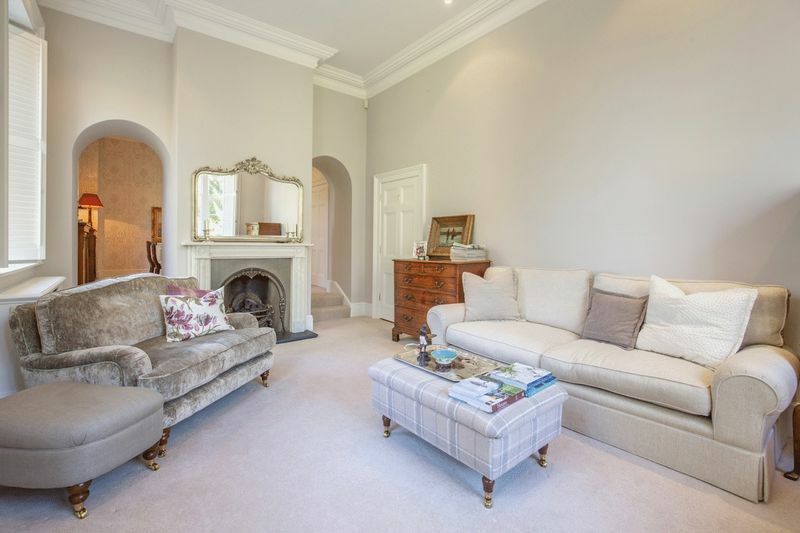 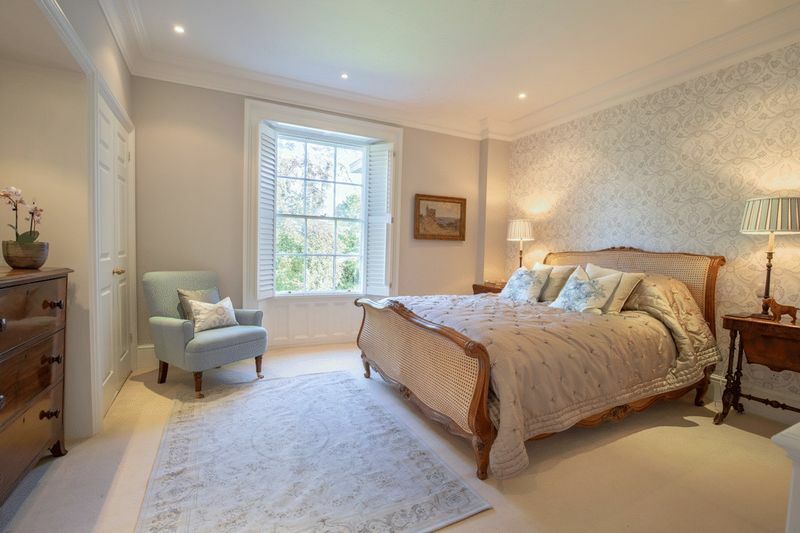 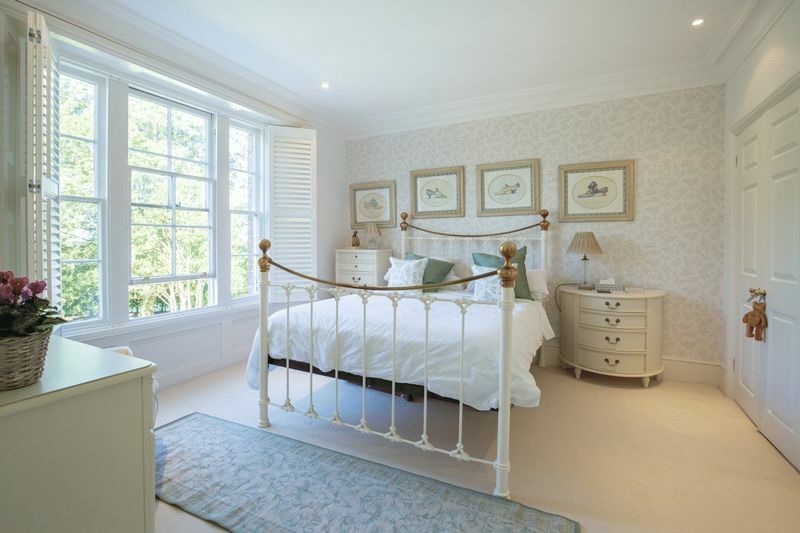 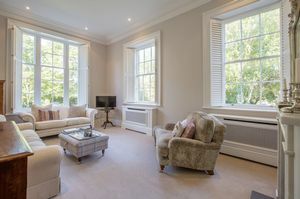 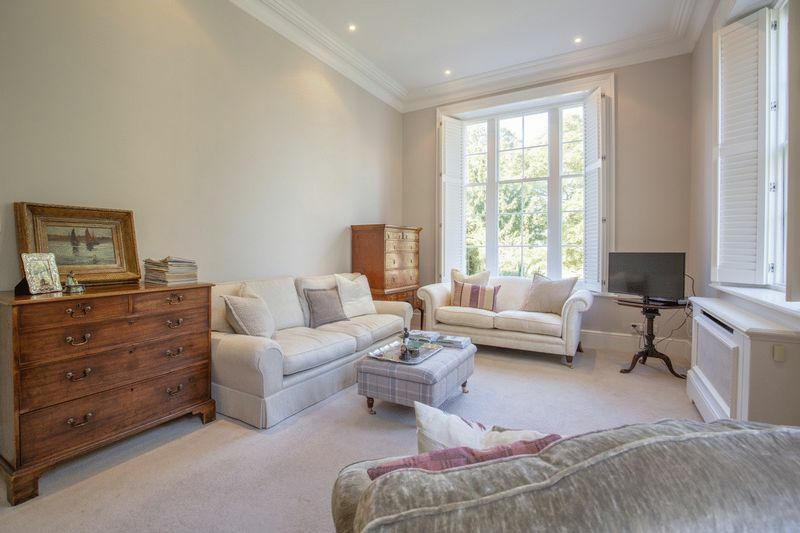 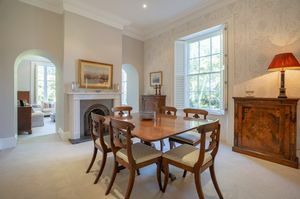 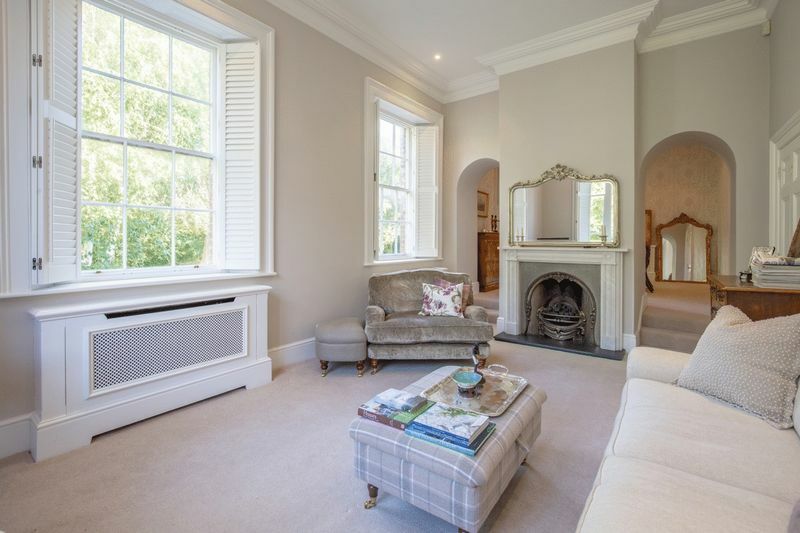 The properties are all well appointed enjoying privacy and security with generous, light and airy accommodation combining the original period features with modern amenities and designed for elegant, stylish living and ease of management in mature gardens and parkland. 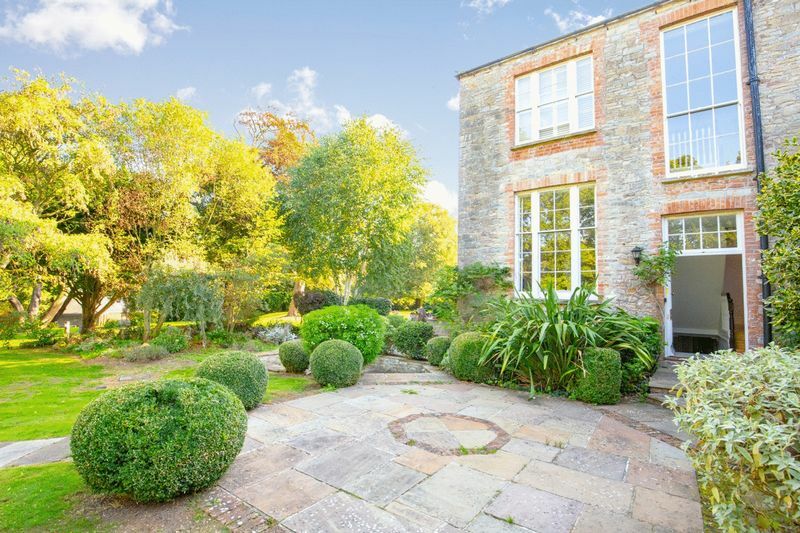 A pathway beneath a rose clad timber pergola leads to a walled courtyard with access to the house. 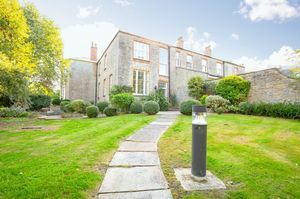 The accommodation is well appointed with details including oak and tiled or carpeted flooring, plantation shutters and LPG gas central heating with encased radiators. 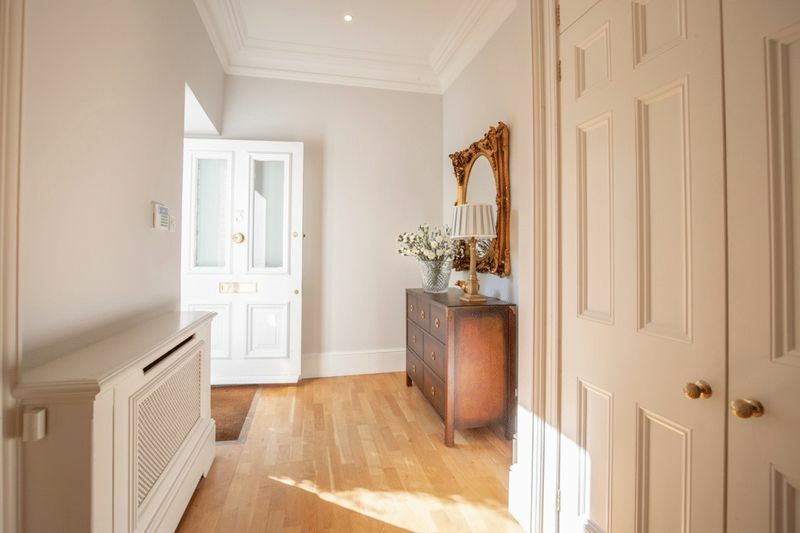 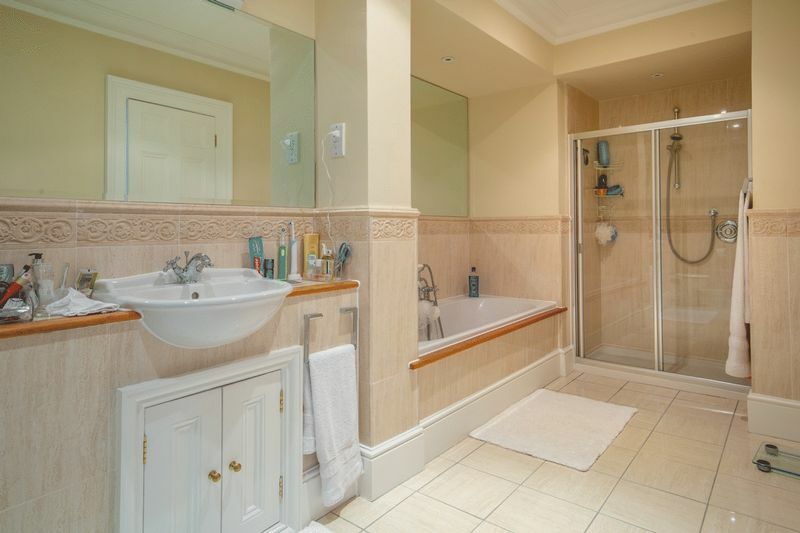 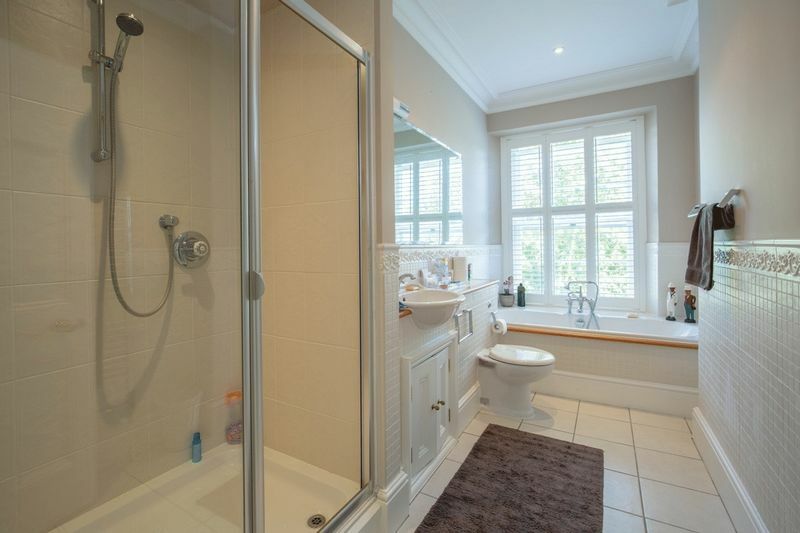 The front door opens into a hall which has a large storage cupboards and runs throughout he house to a side garden door and to the well fitted cloakroom with a basin, loo and tiling. 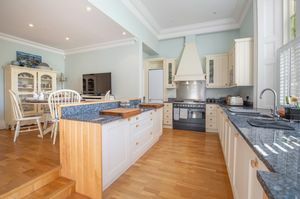 The kitchen and breakfast room is a large open plan room. 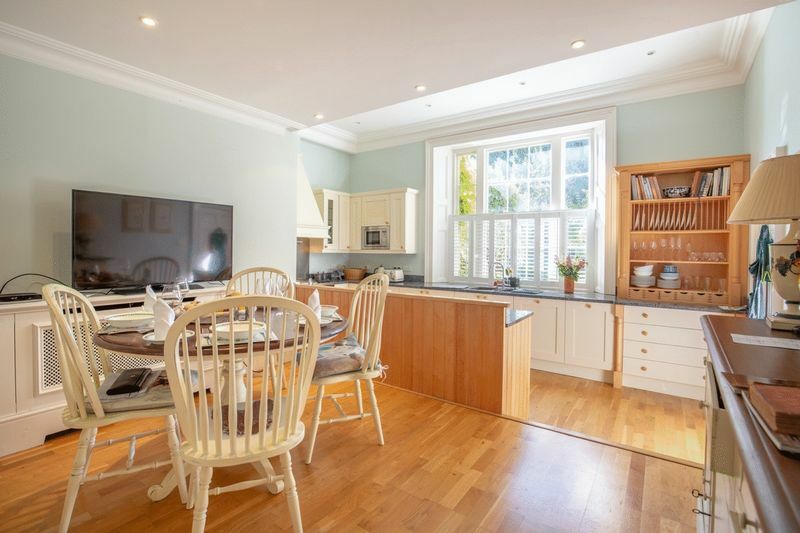 The kitchen area is very well fitted and equipped with a range of units, granite worktops and upstands, a 2 bowl sink unit and integrated appliances including a dishwasher, microwave oven, a range cooker with a gas hob, extractor, fridge and freezer. 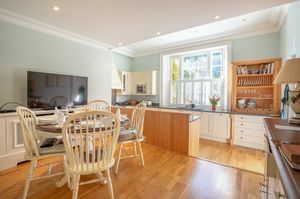 The breakfast area has plenty of space for a table and chairs and off the kitchen is a utility area with further units and plumbing and space for a washing machine and dryer. 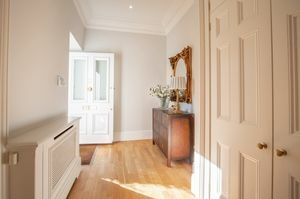 There are 2 elegant reception rooms both having beautiful outlooks over the grounds. 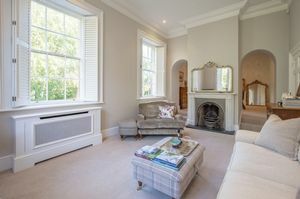 Both have fireplaces with marble surrounds and inset (coal appearance) gas fires for cleanliness and convenience. The rooms are also linked by archways each side of the fireplaces. 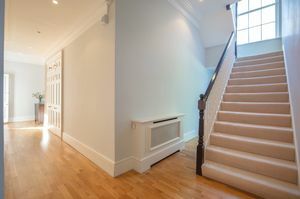 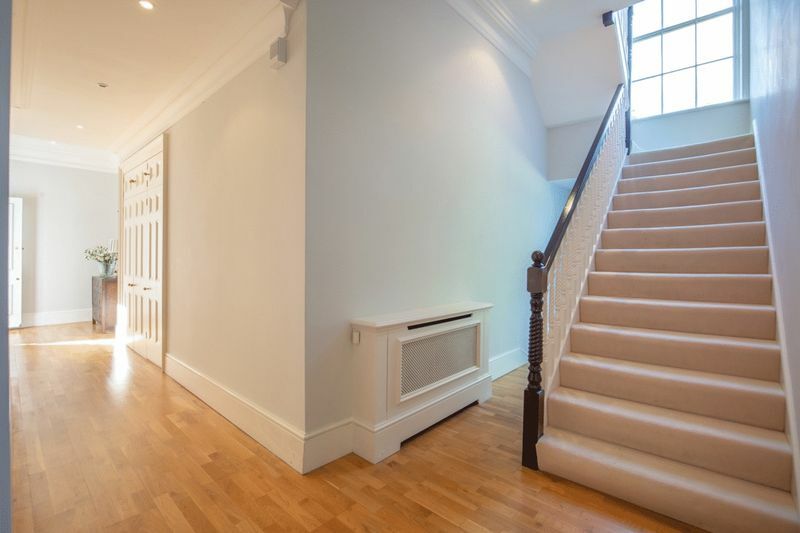 A wide staircase leads to the first floor and the landing which has a cupboard containing the water cylinder and gas boiler. 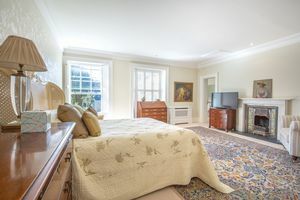 The master suite is very special with a luxurious bedroom with a marble fireplace (inset gas fire), a dressing room with hanging space and shelving, and an en suite bathroom with both a shower and a bath. 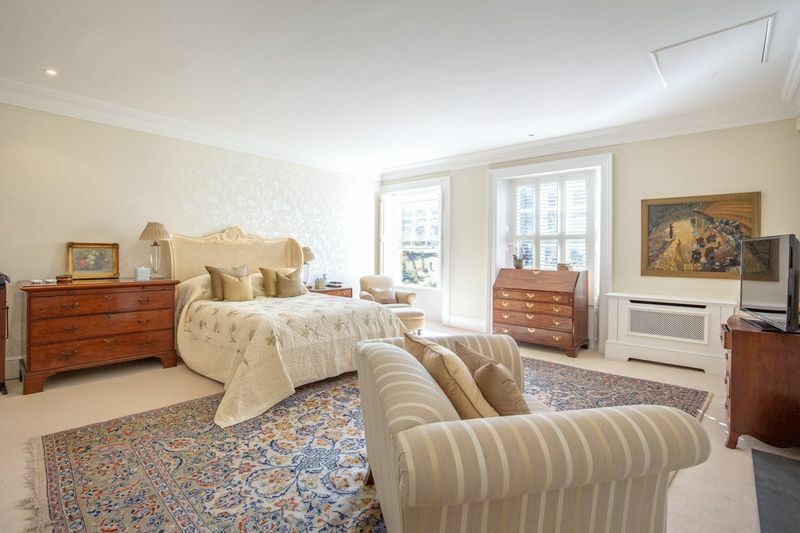 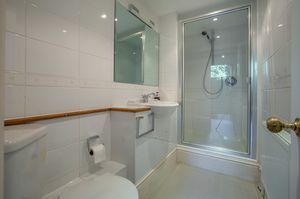 There are 2 other bedrooms on this floor which are both a good size and have excellent fitted wardrobes and cupboards. Garden Floor. 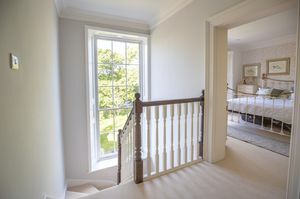 A staircase leads down from the side hall to the garden level floor. Here is a large room which is presently used as a study but is equally suitable as a bedroom having an adjacent shower room. 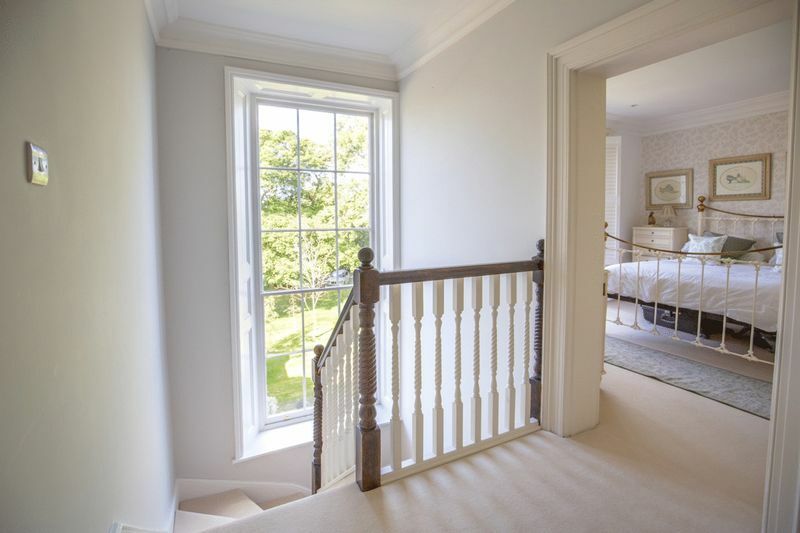 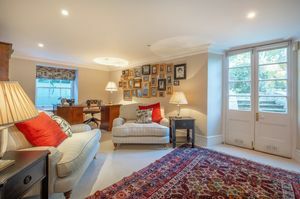 The study has double french doors to an outside terrace which leads up steps to the lawns. 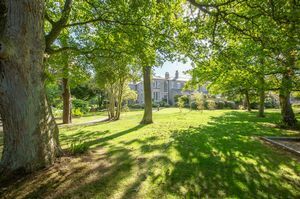 The mature grounds with many specimen trees are enhanced with comprehensive landscaping features giving the house a unique backdrop. In addition No.3 has its own private terraces and lawned gardens, parking areas and garage. 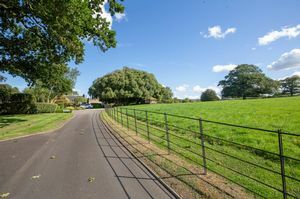 Badgworth is a charming Somerset village with a number of period cottages and houses, a fine Church and village hall. Its in the catchment area of Hugh Sexey’s and The Kings of Wessex school, Cheddar. 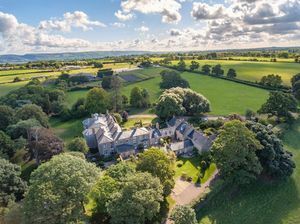 Further schooling includes Millfield at Street, the Cathedral School in Wells, Sidcot School near Winscombe and further independent schools in Bristol and Taunton. The Saxon village of Wedmore is nearby is a delightful and extremely active centre and in many ways is an archetype of an English village. 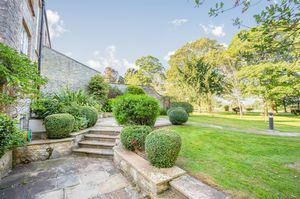 There are historic buildings including the medieval church next to an old coaching inn, a general store/newsagent, post office, butchers, chemist, various other interesting shops, plus pubs, restaurants and tea rooms. 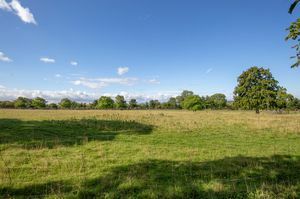 The Cathedral City of Wells is approximately 7 miles away and also provides a good range of business, recreational and shopping facilities. City shopping centres are available at Taunton, Bath and Bristol (each approximately 25 miles away). Communications in the area are good with access to the M5 (J22 - 10 minutes) connecting to M4 (J16). 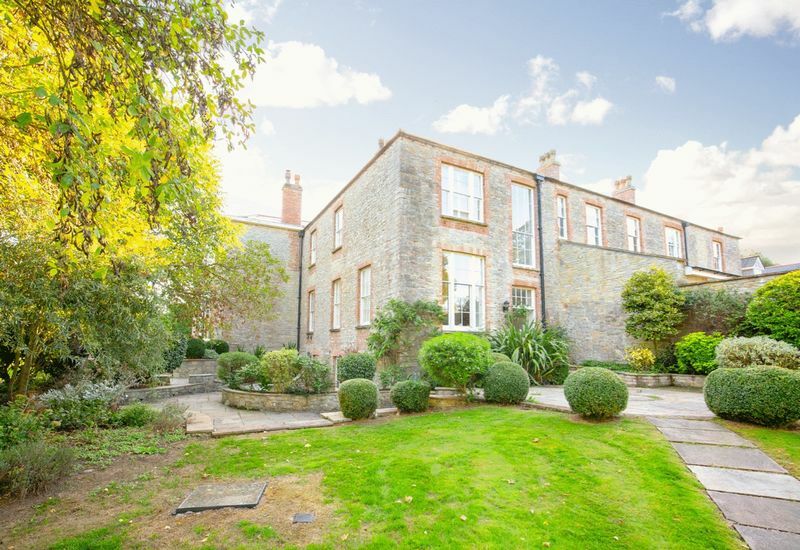 A local train service from Highbridge (7 miles) links with the intercity train services at Taunton and Bristol Temple Meads to London Paddington taking approximately 11/2 hours. 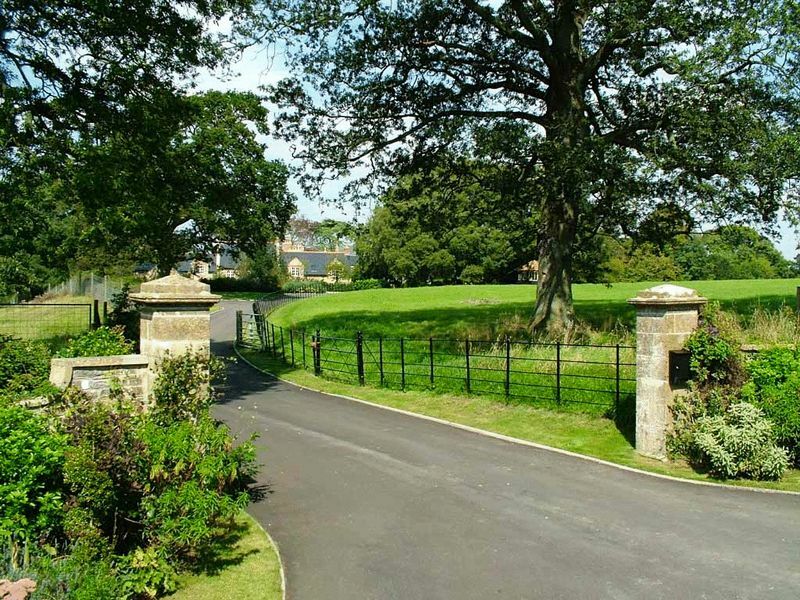 Castle Cary, a mainline station is about 20 miles whilst Bristol International Airport is 15 miles away.